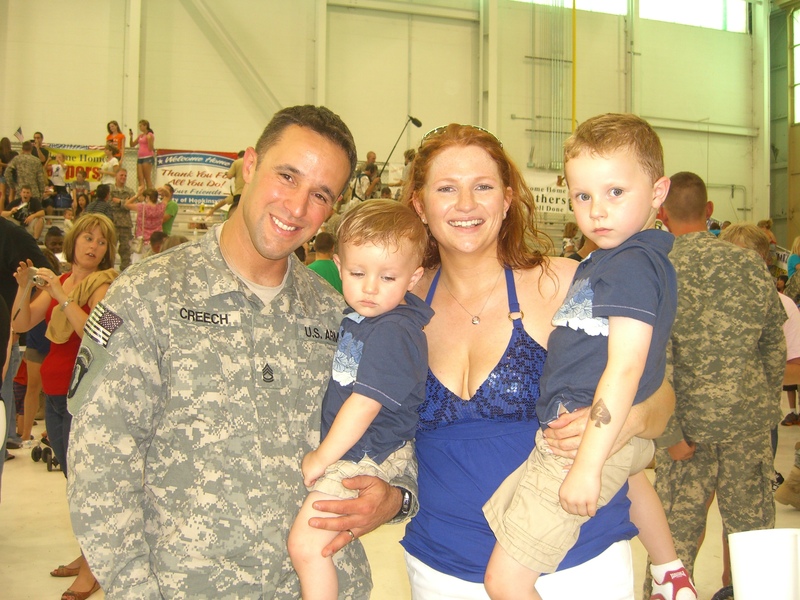 My name is Amy Creech and I am a Red Cross volunteer and military spouse. My husband has been an active duty army soldier for 16 years and counting. I am extremely proud to be a military spouse but military life is not without its challenges, especially when it comes to deployments for the service member and the loved ones waiting at home. Homecomings bring tremendous happiness and a great sense of relief but are not always easy. That’s why I am so glad that the American Red Cross offers the Reconnection Workshops, presented by Walmart, which help our heroes transition back into civilian life. This is a wonderful program of five standalone workshops which last approximately two hours each. They are for service members and their families and examples of topics covered include; Communicating Clearly, Dealing with Stress and Trauma, and Relating to Children. These workshops are free to service members and their families and are given by licensed mental health professionals. We are also in need of facilitators to help us deliver the program. So if you’re a service member or family of a service member or you are a mental health professional who would like to volunteer as a Reconnection Workshops facilitator, I encourage you to check out our website at http://www.RedCross.org/ReconnectionWorkshops or by phone at (404)876 3302 and ask about the Reconnection Workshops.